We often like to think of summer as a time to slow down and of lazy days spent in the sun. Not so for Legends Photography New York. With 30-years of experience in volume team and individual sports, they’re busy year-round and even expanding their business into school portraits. For Legends, summer means competitive travel team sports and tournaments of all kinds. While Legends has traditionally shot team and individual sports, many of their customers were asking them to take action stills during several of the tournaments they shoot. In the past, they would do these largely for goodwill and customer retention. But at GPA’s most recent customer conference in Nashville, a new idea emerged that would change the game for profiting from action photography: CaptureLife Smart Events. 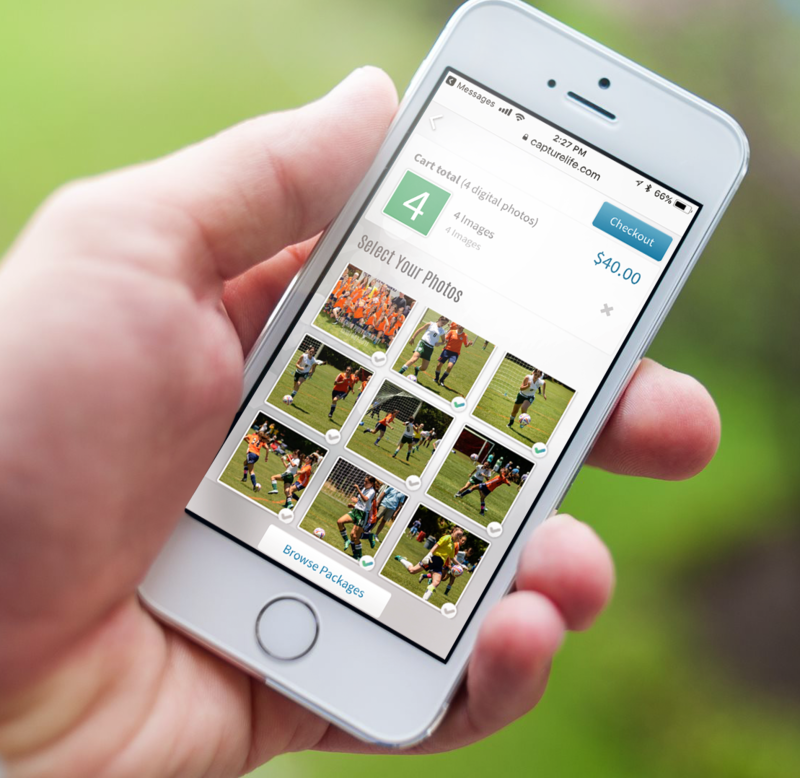 The CaptureLife Smart Events feature allows sports action, marathon, dance, concert, show, wedding, and any really any event photography business streamline their operations and connect more powerfully and more immediately with their customers. Those images land directly on their smartphones in the CaptureLife App, which functions as a powerful viewing and purchasing platform. Customers view and purchase images with the tap of a finger while giving the photographer access to more potential customers without needing a face-to-face interaction! With Smart Events, the photographer leverages a text-in phone number and a pre-determined hashtag associated with it. 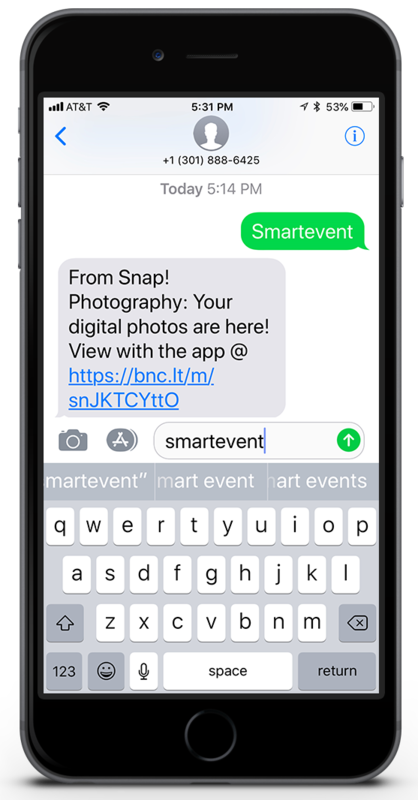 When a customer texts in a hashtag, such as “smartevent” to 301-888-6425 (give it a try!) they receive a text back letting them know that their images will be added or are ready to view. So, how did CaptureLife Smart Events work for Legends New York? 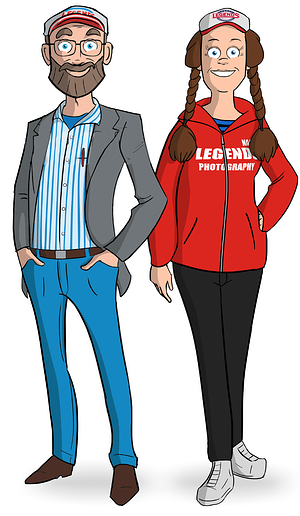 When CaptureLife spoke about this new feature at the GPA conference, Legends New York co-owners Christina Murray and Randy Bince decided then and there that they needed to try it out. They saw Smart Events as a cleaner, more convenient solution vs. a gallery site where their customers would need to wade through a myriad of folders and teams. And they thought Smart Events just might be that “frictionless” solution to spur greater interest and sales for those action photos many organizations were asking them to shoot. Just a few weekends ago, Legends was the official photographer of the Long Island U9 – U19 championship soccer tournament, shooting both the champion and 2nd place finisher team photos. With 60 teams and games on both Saturday and Sunday – they knew it would be a busy weekend for them and their team of photographers. Legends New York had done this event for 3 years, including action photos as a goodwill gesture, but never realizing much monetary success. This was their first opportunity to try doing things a new way, foregoing a gallery site and a mass email to parents and attendees well after the glow of the tournament. At the tournament, Legends New York had flyers everywhere listing all the games with a hashtag that corresponded to the age bracket – GU14 for girls U14, BU10 for boys U10. And all the parents and attendees needed to do was text the hashtag that corresponded to their youth soccer player back to Legends. 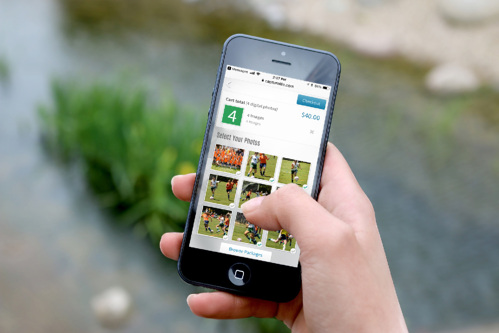 Once the games were completed and the images for each game and league level were uploaded, the CaptureLife platform automatically notified the parents their photos were available right in the CaptureLife app on their smartphone. No waiting for all images from the entire tournament to be uploaded. And what does the future bring? We hear you, Randy and Christina. Count on CaptureLife to help you keep the consumer front and center, help you satisfy their needs, and build your business with smart, friction-free solutions!